On the first of January 1901 at Centennial Park in Sydney, the first official business at the inauguration of the Commonwealth of Australia was the Proclamation of the Commonwealth and Letters-Patent of the Governor-General. They were read to the gathering by the man said to have ‘the most sonorous voice in official Australia’, Edwin Gordon Blackmore, Clerk of the Legislative Council of South Australia and Clerk of the Australasian Federal Convention of 1897–98. Blackmore went on to become the first Clerk of the Australian Senate. E. G. Blackmore was born at Bath, England on 21 September 1837, the fifth child of Edward Blackmore, MD, and his wife Jane Elizabeth, née Gairdener. He had just completed a good grammar school education in Bath when in 1854 his family emigrated to New Zealand at the urging of his eldest brother who had been secretary to the colonial explorer and administrator, Sir George Grey. Grey had been posted to South Africa after a successful term as Governor of New Zealand, but returned in 1861 to deal with worsening relations between the European settlers and the Maoris. When war broke out, Blackmore joined the Taranaki Rifle Volunteers and, taking part in at least two engagements in 1863 and 1864, was awarded the New Zealand Medal. Thirty-five years later, when the call to arms came for the Boer War, he drew on his military background to lead the committee raising, equipping and mounting the South Australian Bushmen’s Corps. In mid–1864, Blackmore left New Zealand for South Australia, where another brother was an assistant clerk in the newly established House of Assembly. Blackmore was appointed to the staff of the South Australian Parliament in 1864 and as Parliamentary Librarian. In 1869, he transferred to the post of Clerk-Assistant of the House of Assembly. Thus began what was to be a four-decade career as a parliamentary official. Blackmore’s efficiency, reliability, and thoroughness coupled with an impressive military bearing and athletic appearance saw him readily accepted into Adelaide Society. Within five years, he was playing a leading role in establishing the Adelaide Hunt Club and was its master and secretary on a number of occasions. He became an active member of the Church of England synod, a trustee of its Aboriginal mission at Poonindie and a governor of St Peter’s College. On 3 January 1872, Blackmore married Eleanora Elizabeth, the eldest daughter of Archdeacon G. H. Farr, headmaster of St Peter’s College. Eleanora died in 1901, having borne six sons and two daughters. Blackmore was a founder of the Adelaide Regatta, chairman of the Adelaide Rowing Club and a leading coach and official. (Since 1893, the Blackmore Shield he donated has been contested annually by leading schoolboy eights.) His sense of propriety was greatly offended in 1898 when his decision on the winner of a women’s event was overturned. Blackmore abruptly severed his connection with the sport, cancelling his considerable financial support and refusing all overtures to return. He remained as Clerk-Assistant and Sergeant-at-Arms of the House of Assembly from 1869 until his appointment as Clerk of the Assembly in 1886. Within a year, he was promoted to the senior post of Clerk of the Legislative Council and the newly gazetted one of Clerk of the Parliaments, which he held until 1901. The Parliament usually sat each year from June until December. Blackmore put the non-sitting time to good effect by preparing and publishing a series of monographs on parliamentary practice and procedure, which involved corresponding with colleagues in Australia and abroad. He soon gained an international reputation as an expert in the field. As the South Australian standing orders were based on House of Commons precedents, he collated and indexed Speakers’ rulings in the Commons, and between 1881 and 1900 published several volumes of their decisions. He also published a Manual of the Practice, Procedure, and Usage of the House of Assembly of the Province of South Australia and one for its Legislative Council, as well as a general treatise on The Law of the Constitution of South Australia. Valuable as they were, the publications also reveal the self-importance and somewhat Heep-like humility of the author. His volume of Peel’s decisions, published in 1900, not only includes a dedication ‘to the Right Hon. Arthur Wellesley, Viscount Peel . . . by his permission, inscribed by his obedient servant’ but some pages of extracts from letters praising Blackmore’s work—from Speakers and Clerks of the House of Commons in Britain, from Canada and from reviews in publications such as The Times. The preface not only speaks in almost embarrassing praise of Speaker Peel, and thanks all those whose testimonials he has reproduced, singling out the former and current Speakers of the Commons ‘for the way in which each has expressed his appreciation of the manner in which the Author has executed his work and testified to its usefulness to the Speaker in the Chair’. The South Australian legislature was a hard school. From the beginning of responsible government in 1857 until the government of Charles Cameron Kingston of 1893–99 the average life of a ministry was eleven months. Clashes and deadlocks between the two Houses had resulted in special conference procedures being devised to try to resolve them. Blackmore had served his apprenticeship under Sir George Kingston, a Benthamite liberal, who had been Speaker of the House between 1857 and 1860 and from 1865 until his death in 1880. The younger Kingston, a radical democrat, launched a full-scale assault on the Council in the 1890s in a bid to broaden its franchise and restrict its power. Blackmore, now Clerk of the Council, had to act as adviser to the conservative President, Sir Richard Baker, throughout this period. Blackmore’s approach to standing orders and management of parliamentary business, apparent in his drafts of standing orders for the new self‑governing Western Australian legislature in 1889–90 and for the Commonwealth Parliament in 1901–03, reflects this earlier experience. 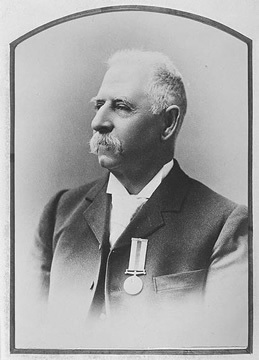 Blackmore’s finest hour was undoubtedly his work as Clerk of the Australasian Federal Convention (1897–98). The decision that the meeting place should be in Adelaide had been made only a few weeks before the Convention was due to assemble. This demanded speedy organisation, and the capacity to deal with sceptics who considered Adelaide an unworthy venue. Sir Joseph Abbott, Speaker of the New South Wales Legislative Assembly, reported that delegates were ‘practically unanimous that Adelaide is quite unsuitable to hold the Convention’. Sir Joseph listed reasons such as the limited accommodation at Parliament House, the lack of official Hansard staff, the distance from Tasmania and New South Wales, and even the time difference with the eastern colonies. At this juncture, Blackmore drew Premier Kingston’s attention to his (Blackmore’s) own ability to organise the Convention and to overcome these difficulties. The Premier agreed that Blackmore be appointed, but quibbled over the cost involved for his government, especially in relation to staff. Blackmore then enlisted the aid of Frederick Webb, who had been secretary of the 1891 National Australasian Convention in Sydney, in order to convince Kingston that it would be impossible to conduct the proceedings ‘without a Clerk Assistant at the table’. The request for funds was granted and Blackmore proceeded to assemble his staff, organise the proceedings and have the buildings cleaned. The Adelaide Convention met daily in general session, received numerous petitions and on occasion adjourned for the meeting of a number of special committees. As the pre-eminent authority on the South Australian standing orders, which were adopted by the Convention, Blackmore was an indispensable adviser to the intercolonial delegates. On administrative matters, he was meticulous, distributing, as appropriate, different coloured folders to the delegates and ensuring that those delegates who had attended the 1891 National Australasian Convention but were not members of the Adelaide Convention received, for their information, regular Hansard reports and drafts. Blackmore also ensured that reports of the proceedings were dispatched not only to the press, but to eminent persons overseas, including British members of Parliament, the Clerk of the House of Commons, and academics, such as Professor A. V. Dicey. Blackmore’s sense of procedure and protocol was always to the fore. For instance, Premier Kingston believed that, as the delegates had been directly elected by popular vote in four of the five colonies, their authority derived from the people and endorsement from the Crown was inappropriate and unnecessary. Premier George Reid of New South Wales, however, had advised the New South Wales Governor to issue a proclamation. Blackmore unilaterally devised the opening proceedings and discomfited Kingston by reading the New South Wales proclamation, concluding with a ringing ‘God Save the Queen’. According to the Adelaide Advertiser, Blackmore’s ‘stentorian tones . . . startled every auditor into an attitude of attention, and . . . induced a loyal inclination of all heads’. When the Convention agreed to adjourn and meet again in Sydney it was decided that Premier Kingston would continue as president and Sir Richard Baker as chairman. It was a mark of confidence in his ability that Blackmore was asked to remain as Clerk of the Sydney and Melbourne sessions in 1897 and 1898. This meant not only being at the Table of the Victorian Legislative Assembly in full regalia during a Melbourne heatwave in 1898, but also entailed moving boxes of papers from one city to another. On one occasion, Blackmore had difficulty getting papers from Sydney to Melbourne on time because his boxes had been taken for customs inspection. It was a mammoth effort, but at the end of the three sessions there was general agreement that it had been ‘Blackmore’s Convention’. It was hardly surprising that when Federation was achieved in January 1901, Blackmore took such a prominent part in the official proceedings. On 1 April 1901, Blackmore was appointed first Clerk of the Senate and Clerk of the Parliaments of the Commonwealth of Australia. Baker’s election as the Senate’s first President one month later, continued an association with the Clerk which dated from 1893, a partnership that only finished at the end of 1906 when Baker stepped down. Blackmore’s great task was now the drafting of the standing orders for the two Houses of the Commonwealth Parliament. Blackmore’s close association with Edmund Barton during the Convention must have led the Prime Minister to have confidence in his skill. Indeed, Barton had been one of Blackmore’s referees for the clerkship. As usual, Blackmore took the initiative and while technically it was a joint responsibility with the Clerk of the House of Representatives, George Jenkins, Blackmore got on with the drafting for both Houses, while Jenkins organised the opening ceremony of the Parliament. Deciding to produce ‘a complete guide to any question’, Blackmore was temperamentally incapable of seeing that the Commonwealth of Australia and its new Constitution might present the opportunity for an entirely fresh approach to parliamentary procedure. He drew heavily on the South Australian and Westminster procedures that he had spent his life studying and, in the case of the South Australian procedures, developing. His view of Parliament seemed to be one where parties did not exist and the executive had no real place, each member being ‘free and equal in the sight of the Speaker or the President’. The only concessions to the executive were the right reserved to a minister to move an adjournment without notice and a provision for the seating of ministers in the chamber—probably part of Blackmore’s need to prescribe law and order. The manner of dealing with motions by notice, readings, and committees of the whole House; questions with notice (but silence on those without); reception of petitions (but no requirement to consider them); and provision for domestic standing committees and for ad hoc select committees were all there as part of the familiar classical Westminster practice modified by colonial experience. The only substantive difference between the Senate and House standing orders was that the latter had provisions dealing with expenditure and revenue. In his draft, Blackmore, according to G. S. Reid and Martyn Forrest, ‘demonstrated a lack of enterprise, originality, imagination and zeal’. And yet those standing orders remained in use in the House of Representatives virtually unchanged until a permanent set was adopted in 1950. The members obviously found them adequate for half a century. In the case of the Senate, Baker, a lawyer and, like Blackmore, a published constitutional expert, had some different views, including on the question of whether the House of Commons was an appropriate point of reference. Baker believed it was not. His view prevailed by eighteen votes to five when, in 1903, the Senate adopted its modified standing orders. Blackmore’s experience of the clashes between the South Australian Houses made him conscious of the need to distinguish financial from other measures, but he felt all other orders should be the same. Baker had a much greater understanding than Blackmore of the place of the Senate in the Constitution, having been a strong and constant advocate during the drafting of the document of the Senate’s role as the safeguard of the states. In his view, the equality of power guaranteed under section 53 meant the Senate procedure should not simply reproduce that of the House in all non-financial instances, as Blackmore would have it, and he ‘soon put an end to that presumption’. The standing orders of the Senate still contain many elements of Blackmore’s draft, but the separate path the Senate has taken over the course of its first century owes little to him in either form or philosophy. Despite this, his continuity as Clerk from the 1897–98 Convention to the inaugural years of the Commonwealth, coupled with his competence and the respect in which he was held on all sides of politics, and abroad, enabled him to render a great service in ensuring that the Parliament created by Federation actually worked. Off duty for twelve months after an illness in 1907, Blackmore, who had been appointed CMG in 1901, sent his resignation to the President in June 1908 to take effect at the end of the month. Senators recorded their appreciation of his experience, judgement, urbanity and courtesy, and his special assistance to new members. Blackmore died on 20 February 1909 on his son’s property at Wattamondara, near Cowra, New South Wales. His six sons, Gordon, George, James, Edwin, Lewis and John, and one daughter, Jane, survived him. Announcing Blackmore’s death to the Senate on 26 May 1909, the President, Sir Albert Gould, remarked that his passing had ‘made a great gap in the parliamentary history of the Commonwealth’. Senator Edward Millen showed an understanding of the nature of Blackmore’s task when he said that there were ‘very great and valuable services which may be rendered by a competent Clerk of Parliament [which are] just as great and important as are those rendered by many who live more openly in the public eye’. SMH, 2 January 1901, p. 11; J. A. La Nauze, The Making of the Australian Constitution, MUP, Carlton, Vic., 1972, p. 99. Gordon Reid, ‘Blackmore, Edwin Gordon’, ADB, vol. 3; Punch (Melbourne), 15 June 1905, p. 776; E. G. Blackmore, The Story of the South Australian Bushmen’s Corps, Hussey & Gillingham, Adelaide, 1900, pp. 3–7, 23–24. Advertiser (Adelaide), 23 February 1909, p. 8; J. B. Hirst, Adelaide and the Country 1870–1917: Their Social and Political Relationship, MUP, Carlton, Vic., 1973, pp. 42–45; John Tregenza, Collegiate School of St Peter Adelaide: The Founding Years 1847–1878, Adelaide, 1996, pp. 106–107; Adelaide Church Guardian, March 1909, p. 89. Tregenza, Collegiate School of St Peter Adelaide, p. 107; South Australian Register (Adelaide), 22 February 1898, p. 6. Edwin Gordon Blackmore, The Decisions of the Rt Hon. Evelyn Denison, 1857–1872, Adelaide, 1881; The Decisions of the Rt Hon. Evelyn Denison 1857–1872 and of the Rt Hon. Sir Henry Bouverie William Brand 1872–1884, Adelaide, 1892; The Decisions of the Rt Hon. Sir H. B. W. Brand, 1872–1880, Adelaide, 1882; The Decisions of the Rt Hon. Sir H. B. W. Brand, 1881, Adelaide, 1883; The Decisions of the Rt Hon. Sir H. B. W. Brand, 1882, Adelaide, 1884; The Decisions of the Rt Hon. Arthur Wellesley Peel, 1884–1886, Adelaide, 1887; The Decisions of the Rt Hon. Arthur Wellesley Peel, 1887–1889, Adelaide, 1890; The Decisions of the Rt Hon. Arthur Wellesley Peel, 1884–1895, Adelaide, 1900; Manual of the Practice, Procedure, and Usage of the House of Assembly of the Province of South Australia, Adelaide, 1885; Manual of the Practice, Procedure, and Usage of the Legislative Council of the Province of South Australia, Adelaide, 1889; The Law of the Constitution of South Australia: A Collection of Imperial Statutes, Local Acts, and Instruments Relating to the Constitution and Government of the Province, Adelaide, 1894; The Decisions of the Rt Hon. Arthur Wellesley Peel, 1884–1895, pp. vii–xi. L. F. Crisp, Federation Fathers, MUP, Carlton, Vic., 1990, pp. 316–317; Dean Jaensch (ed. ), The Flinders History of South Australia: Political History, Wakefield Press, Netley, SA, 1986, vol. 2, pp. 108–116; 188. Alfred Deakin, The Federal Story: The Inner History of the Federal Cause, Robertson & Mullens, Melbourne, 1944, p. 73; John Bannon, ‘Fears of Inconvenience: Adelaide as the 1897 Convention Host’, New Federalist, no. 1, June 1998, pp. 10–15; ‘Australasian Federal Convention of 1897–8, GRG 72/1/3, SASRO; La Nauze, The Making of the Australian Constitution, p. 197. Blackmore’s papers for the Convention are also held by the National Archives of Australia: CRSR 216/161–164, 343, NAA; Advertiser (Adelaide), 23 March 1897, p. 5. La Nauze, The Making of the Australian Constitution, pp. 196–202. G. S. Reid Papers, MS 8371, NLA; G. S. Reid and Martyn Forrest, Australia’s Commonwealth Parliament 1901–1988, MUP, Carlton, Vic., 1989, pp. 134–146, Letter, Blackmore to Alfred Deakin, 14 January 1901, Deakin Papers, MS 1540/14/559–560, NLA; Letter, Blackmore to Edmund Barton, 25 March 1901, CRS A6/1, 01/970, NAA; CPD, 10 June 1903, p. 654, 18 June 1903, p. 1073, 12 August 1903, pp. 3429, 3440–3447, 18 August 1903, p. 3728, 19 August 1903, p. 3847; Reid and Forrest, Australia’s Commonwealth Parliament, pp. 137, 479; Letter, James Bryce to Blackmore, 31 July 1903, G. S. Reid papers, MS 8371, NLA. CPD, 16 September 1908, pp. 6–7, 8–9, 26 May 1909, p. 8; Public Service Review (Adelaide), February 1909, pp. 23–24; Advertiser (Adelaide), 23 February 1909, p. 8; Register (Adelaide), 23 February 1909, p. 5; Argus (Melbourne), 23 February 1909, p. 5. This biography was first published in The Biographical Dictionary of the Australian Senate, vol. 1, 1901-1929, Melbourne University Press, Carlton South, Vic., 2000, pp. 377-382.